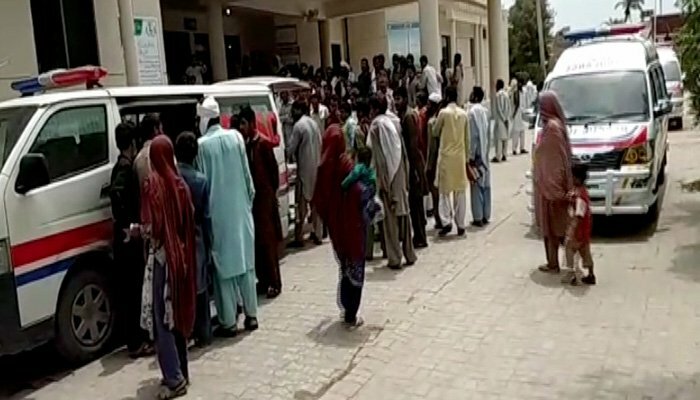 LAHORE: A fake spiritual healer poisoned 25 members of a family to loot their belongings in Muzaffargarh, a private media outlet reported on Tuesday. The affected family members have alleged that the accused, Shah Sahib, had been invited to treat a member of the family, Fayaz Hussain, who is suffering from cancer. According to the family, the ‘spiritual healer’ added a powder-like substance to milk and asked them to drink it. The accused then looted the family’s belongings as the members lied unconscious due to the intake of adulterated milk. 16 members of the affected family were stated to be in a critical condition. The victims were shifted to Nishtar Medical Hospital and a nearby district hospital. The search for the accused is underway.